Day 25: What Exercise is Best when You Are in Ketosis? 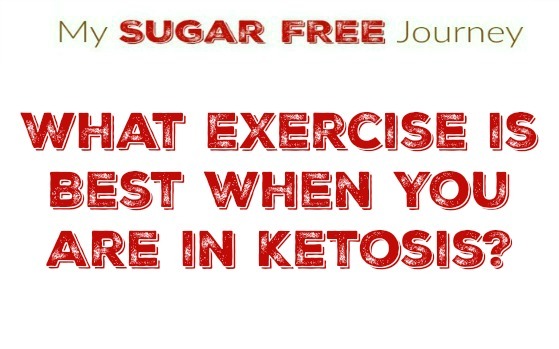 What Exercise is Best when You Are in Ketosis? So what exercise should you actually do? The great thing about living in ketosis is that most of the needed weight loss will be happening regardless of how you exercise, now it’s just a matter of enjoying the benefits we discussed in yesterday’s lesson. Stretching is probably the most important thing you can do before you start exercising, especially if you are new to exercise or older as it will prevent injuries. I spend about 10 minutes stretching before doing anything and I have a short 10 minute video on my phone that walks me through some easy stretches that I play every time I start. Just look for an easy video perhaps on YouTube that is at your level that will stretch you out and follow that. Aerobic exercise is exercise that increases your heart rate and makes you breath harder. Again, this doesn’t take much. You can get many benefits from taking a walk around the block at a brisk pace. You are just trying to get your heart rate up. If you think you are ready for something more advanced, look into HIIT training as it will increase your heart rate and exercise you in a very short amount of time. Weight training or resistance training is the exercise that will allow you to begin to put on muscle mass. It is the weight training that will encourage your body to make new insulin sensitive muscle fibers so it is important that it is included in your routine. I use the app StrongLifts to walk me through a simple weight lifting routine but if you don’t want to join a gym and don’t have weights, you can just do simple bodyweight exercises to get many of the same benefits. I have used the app madBarz in the past for Bodyweight exercises and have been happy with it. The most important part of any exercise routine is the rest you take between sessions. The time you are asleep and the time you are not exercising is when your body is hard at work adjusting to the the benefits of exercise like increasing your bone density, muscle mass, and cardiovascular capacity. Don’t overdo it. PREVIOUS POST Previous post: Day 24: Is Exercise Important When In Ketosis?